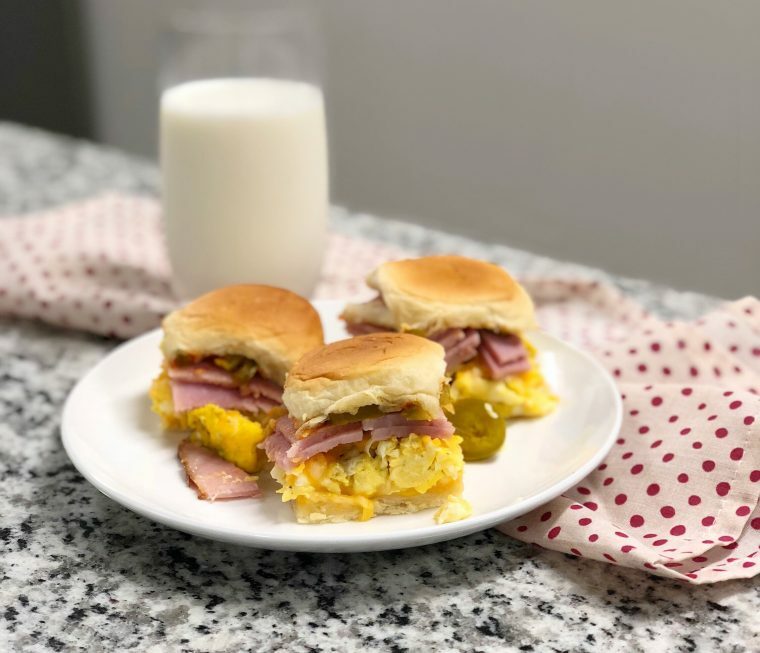 Spice up any day with these spicy breakfast sliders! Cut the 12 rolls in half, creating two sheets; 1 with roll tops and 1 with bottoms. Sprinkle Tex-Mex shredded cheese on roll bottoms. Cover the cheese with the cooked eggs and Kentucky Legend ham. Add another layer of cheese on top of the ham. Place jalapenos on top of the second layer of cheese. Drizzle Sriracha on top of the jalapenos. Place tops of rolls onto the sliders. Coat the tops of the rolls with melted butter. Bake at 350 for 10-15 minutes, let cool, and enjoy!